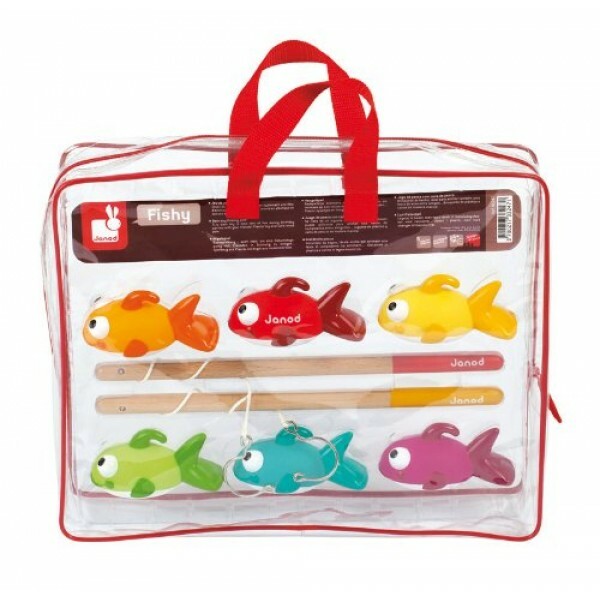 It's time to go fishing with Janod's Fishy - Fishing game. 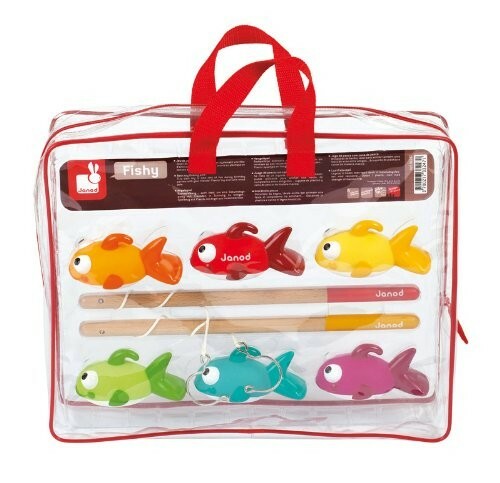 Designed in France, this great set consists of 6 different colored rubber fish and 2 wooden fishing poles with hooks attached to the end. The fish can be caught by getting the fishing hook under the fish's fin. These fish float in water so they are a great bath time or pool activity or simply go fishing from your living room sofa. Where ever you prefer to fish, our set will provide a fun and exciting time.